Details are slowly emerging about a deadly shootout at a suburban bar. Someone opened fire after an argument, then police responded, and a security guard ended up dead. NBC 5's Trina Orlando reports. Police were investigating an fatal officer-involved shooting at a south suburban bar that left one security guard dead and four others wounded. 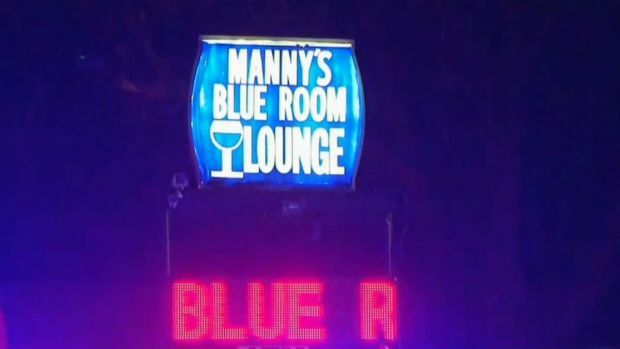 Just after 4 a.m. on Sunday, officers responded to a call of shots fired at Manny’s Blue Room Bar at 2911 S. Claire Blvd. in Robbins, and a Midlothian officer who entered the bar discharged their weapon at an armed man, who later died at Christ Medical Center in Oak Lawn, according to Sophia Ansari, a spokeswoman for the Cook County sheriff’s office. The man had been working security at the bar and was identified 26-year-old Jemel Roberson, according to Ansari and the Cook County medical examiner’s office. Roberson lived in the Homan Square neighborhood on the West Side. Heavy police presence surrounded a Robbins bar early Sunday morning where a shooting occurred around 4 a.m., officials said. NBC 5's Lexi Sutter reports. Authorities released few details about the shooting, but said the incident began as an argument inside the bar, according to Robbins Police Chief Roy Wells, who spoke at a press conference Sunday morning. Four other people in the bar suffered gunshots and were taken to Christ Medical Center in Oak Lawn and Metro South Hospital in Blue Island, Ansari said. Their injuries were not considered life-threatening. 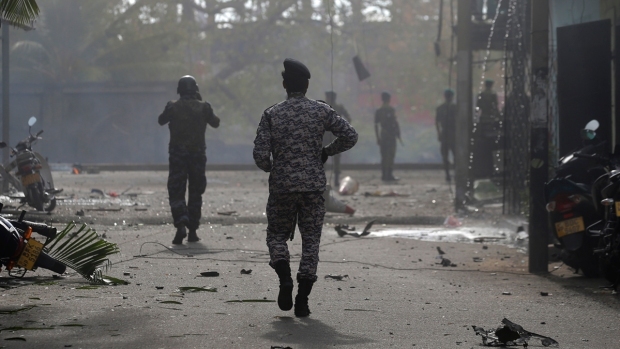 At least one of the wounded was considered to be a shooter, Ansari said. They were in custody, but it was not immediately clear if other people inside the bar had fired shots. Robbins police initially responded to the shooting and requested help from two Midlothian officers, according to a statement from Midlothian police. One of those Midlothian officers “encountered a subject with a gun and was involved in an officer involved shooting,” according to their statement. 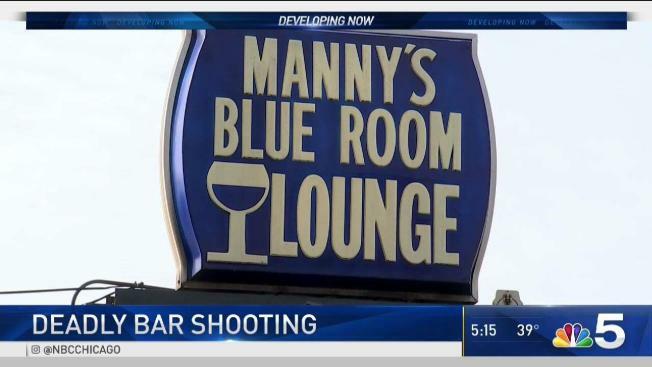 The bar shooting was being investigated by the Cook County sheriff’s office. The shooting involving the Midlothian officer was being handled by Illinois State Police. “It is the policy of the Midlothian Police Department to utilize the Illinois State Police Public Integrity Task Force for any officer-involved shootings so we can ensure transparency and maintain public trust,” Midlothian police said.